The A3 is the smallest car series Audi sells in the U.S. 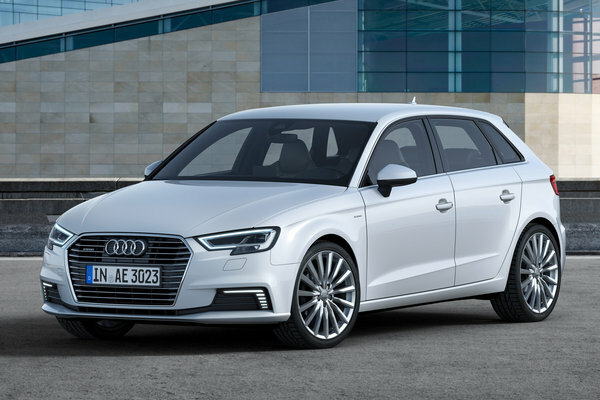 Available in 3 body styles, the A3 line includes a five-door plug-in hybrid hatchback named the Sportback e-tron. The A3 Sportback e-tron pairs a 1.4l turbocharged engine with a 102-bhp electric motor in a hybrid drivetrain that powers the front wheels. A large 8.8 kWh lithium-ion battery pack can be plugged-in for recharges allowing the e-tron to drive for extended distances on electric power only. A3 models include leather seating, dual-zone climate control, HID lighting, and alloy wheels as standard equipment.